One morning several years ago I found myself wondering just what I'd gotten myself into?!! Image after image of baby eagles were spread across my largest workbench and they were......ugly...! Lordy I had no idea that baby eagles were not only homely and gawky but they had "angry bird" eyes (just think of the heavy eyebrows on adult eagles). My intention was to create a totally irresistible sculpture to speak to the attitude I witnessed in youth and people at Eaglemount. Near and dear to my heart the non-profit Eagle Mount is committed to provide quality therapeutic recreational opportunities for people with disabilities and young people with cancer, and to provide support for families of participants. I'd been a volunteer in their ski program for several winters until caring for my mother in her battle with her Alzheimer's took priority in my life. I leveraged "artistic license" to create a palm size sculpture for Eagle Mount who reaped the benefit of 100% profits from the edition. 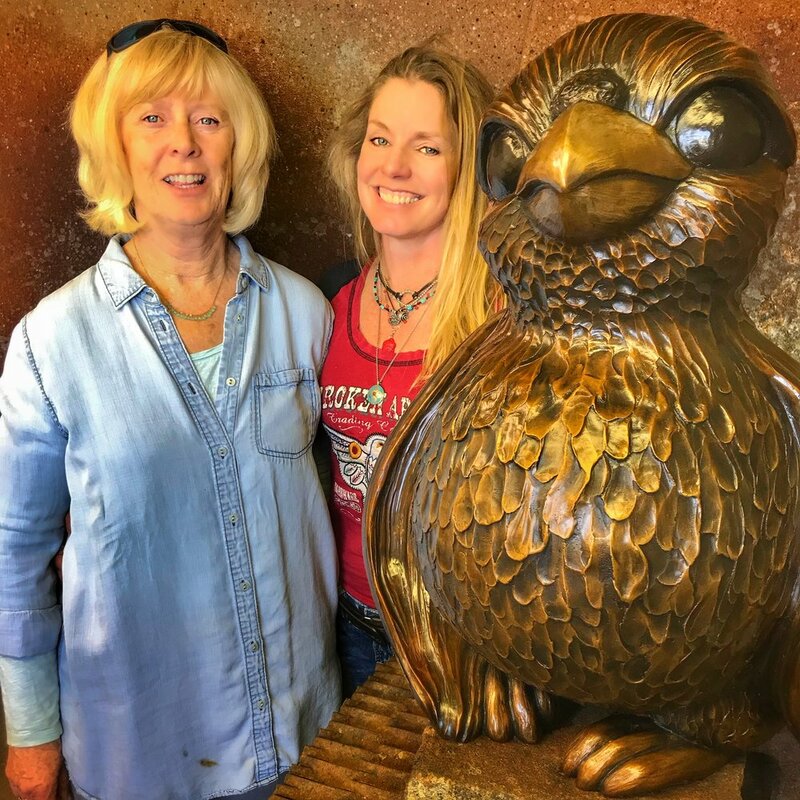 Inspired, they even began selling chocolate sculptures molded from the original baby eagle which they named "Soren - the little eagle that could."